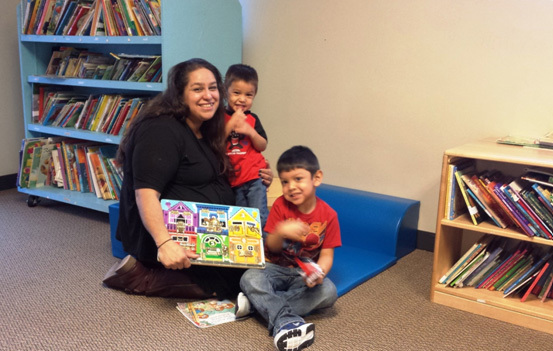 Carmen Campos with her sons Christian 4 and Alexander 2, in Bryan’s House library. “No limits. No limits for my boys or me, despite all our setbacks.” That is how Carmen Campos believes Bryan’s House has shaped the future. When she had to separate from her husband while pregnant with her second son, she feared she would have to relinquish her dream of a stable family life. She was led toBryan’s House, which serves families whose children have special medical needs. For three years, Bryan’s House has cared for both boys, providing their therapy in a loving, cheerful setting. Carmen found a Design District sewing job she loves while she pursues her dream career of clothing design for plus-size women. Bryan’s House – Family Supportive Services (Wisdom’s Hope) from ChaseMeFilms on Vimeo.